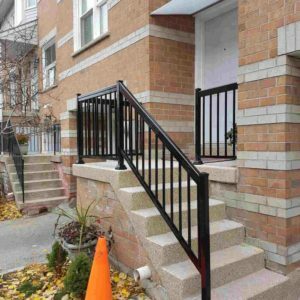 Choosing the right commercial railings can be doubly hard when safety should not be compromised because of the fences aesthetic value. 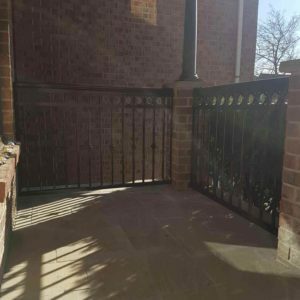 Considering that there are many materials and designs, choosing the best one to meet your commercial demands often becomes one of the most significant considerations. 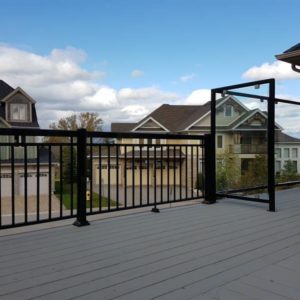 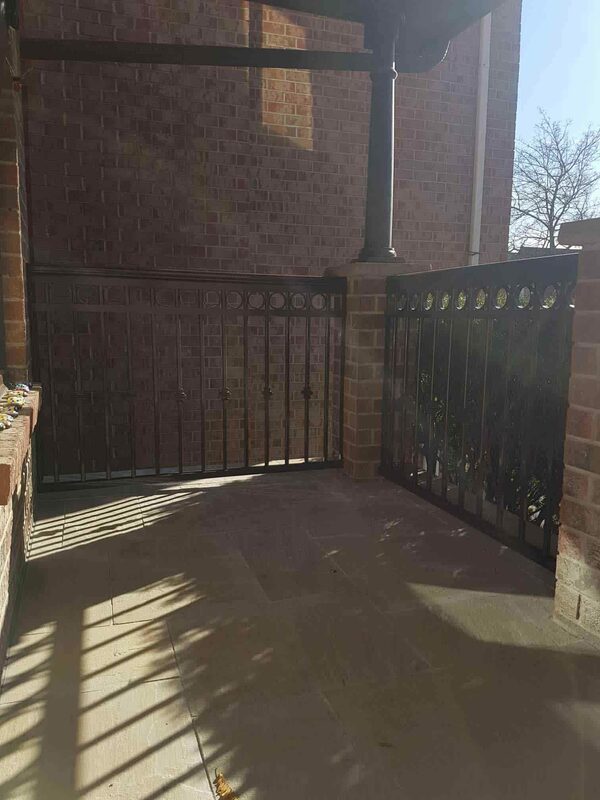 Commercial hand railing comes in many different materials including wrought iron, brass, stainless steel, aluminum steel, and various other metals. 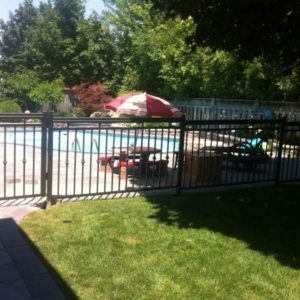 The first consideration you have to determine is what the fencing is supposed to accomplish. 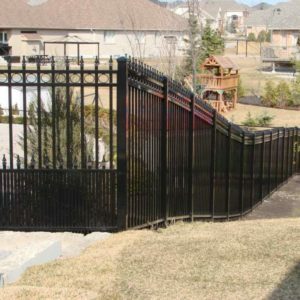 Such given factors to include for your decision includes questions whether providing safety for a commercial or industrial building or security for private property. 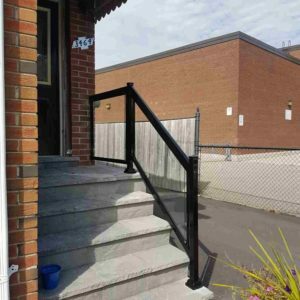 As always, you need to install a commercial handrail system which can stand up to constant environmental changes and withstand its everyday wear and tear. A grand commercial staircase for your business can be a stunning focal point adding value to your whole enterprise. 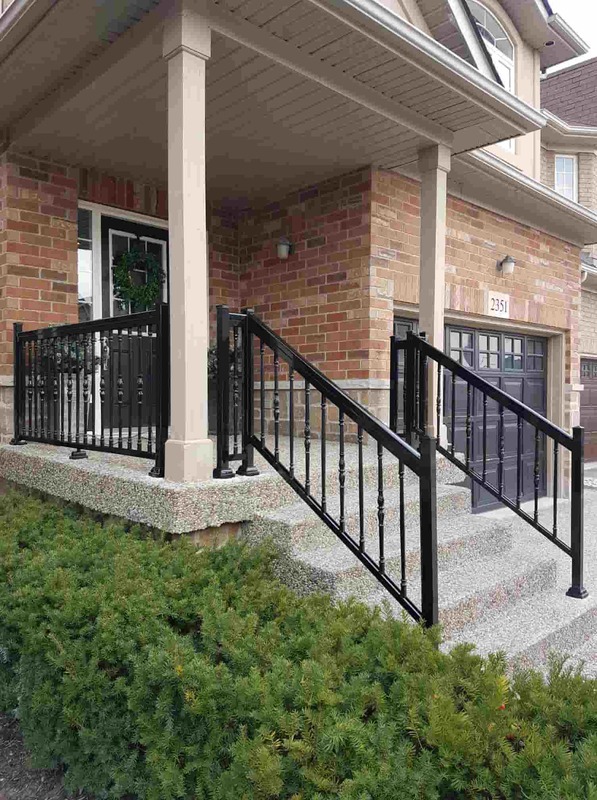 Hotels with gorgeously decorated banisters create an eye-catching element that captivates every visitor. Beautiful commercial handrail systems also add to the elegance and functionality of your space defined by its various aspects. 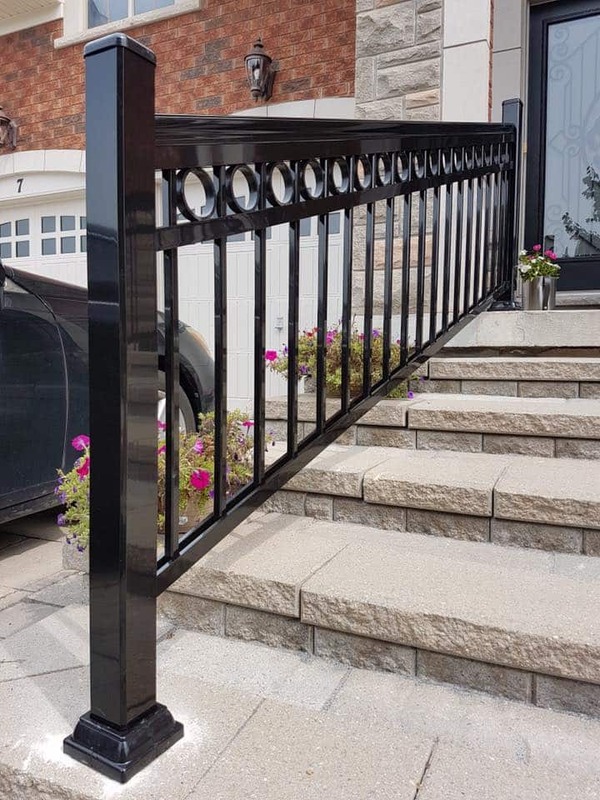 Handrails can be deliberately transformed from a pure safety element into a stylish and modern-looking staircase detail. 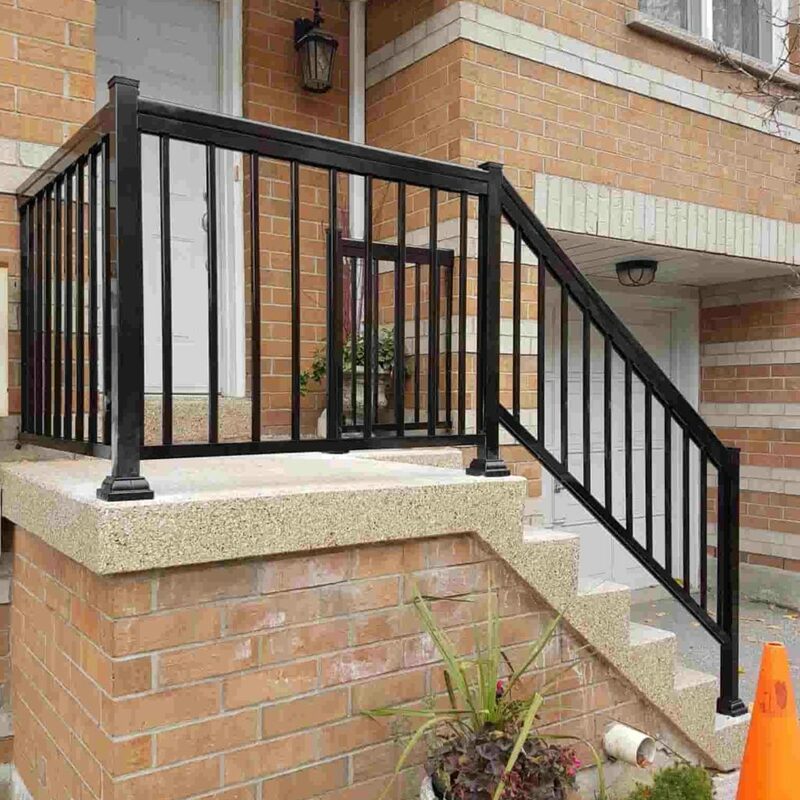 Handrails and guardrails are more than just structural components, but they can be designed to blend in with the overall architectural blueprint of the entire complex. 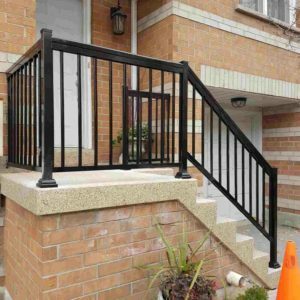 Wooden handrails provide a traditional and subtle elegance while metal handrails give off a minimalistic and modern-chic look. 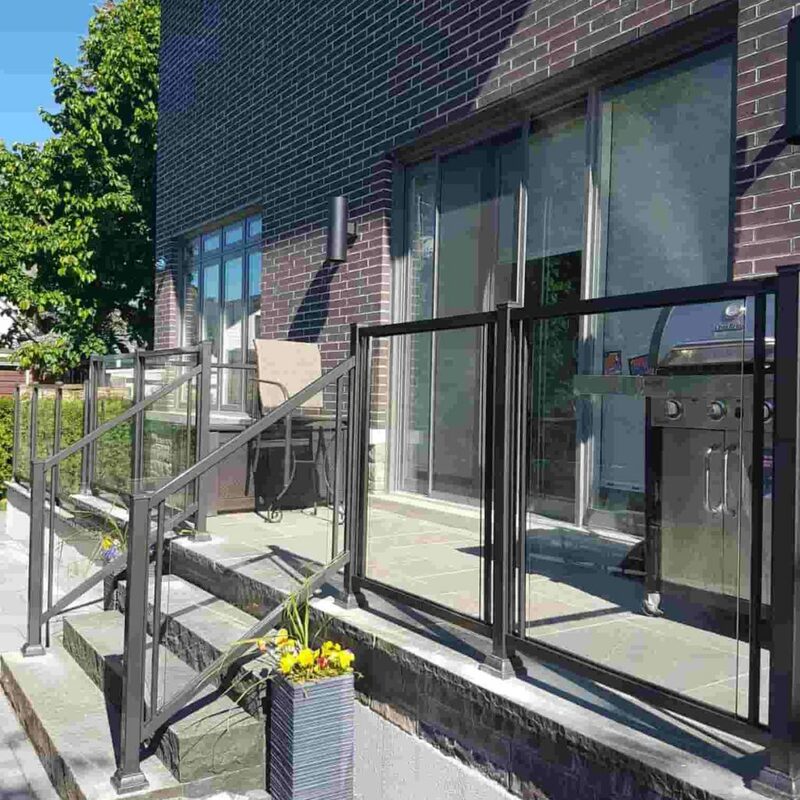 Clear glass can be stylistic and beautiful, and a combination or contrast of any of the elements can give a charming and unique aura to your environment space. Aluminum Glass Railings. Using the glass on the commercial railing systems portrays the delicacy of the architecture. 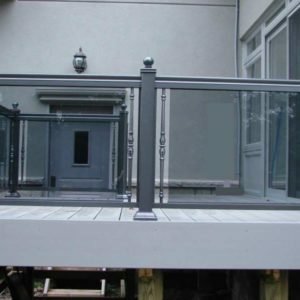 Aluminum glass handrails work best on an indoor installation, but they can be installed on balconies and decks too. 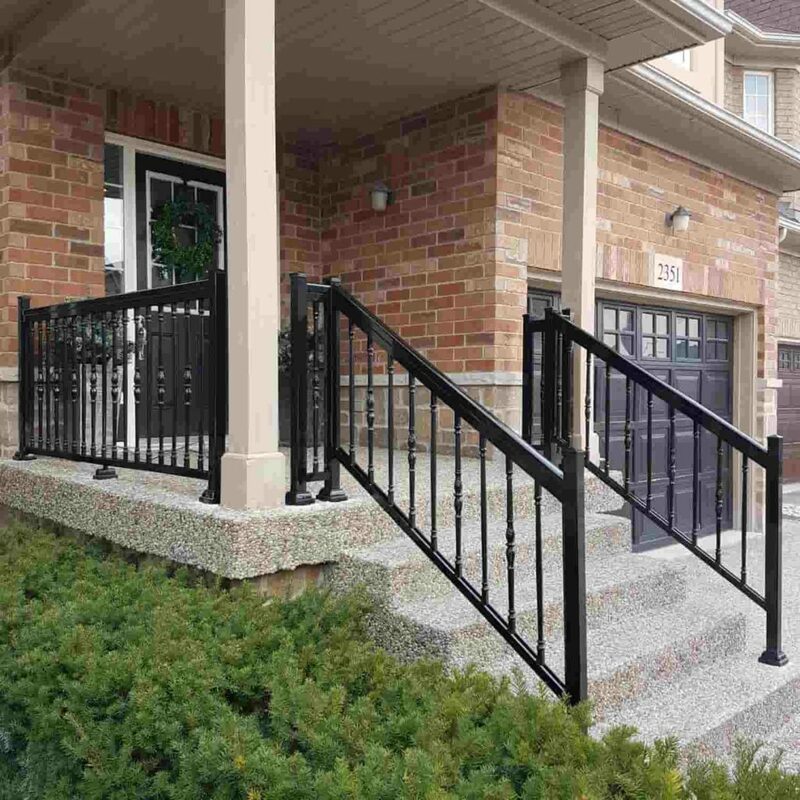 Aluminum Picket Railings. 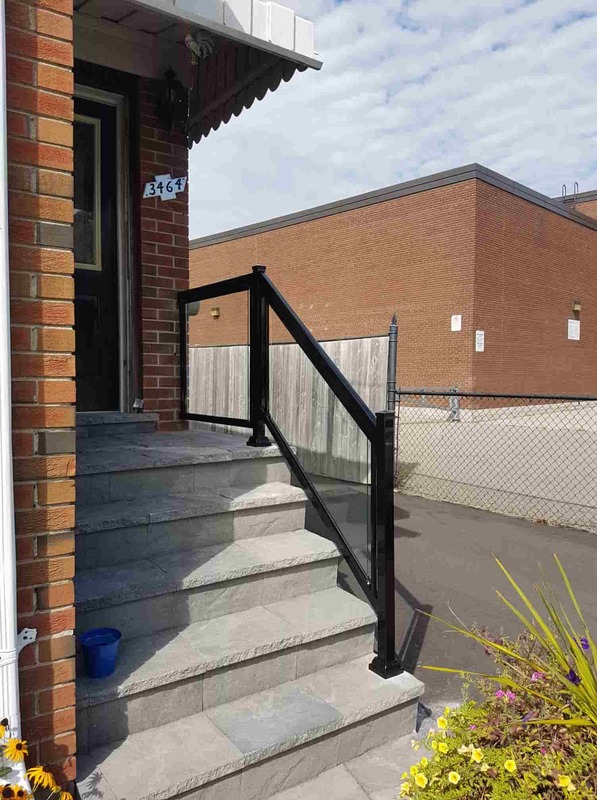 Picket railings are perfect, easy to assemble, and comes with a top rounded rail, they are graspable and run along the stairway beautifully. 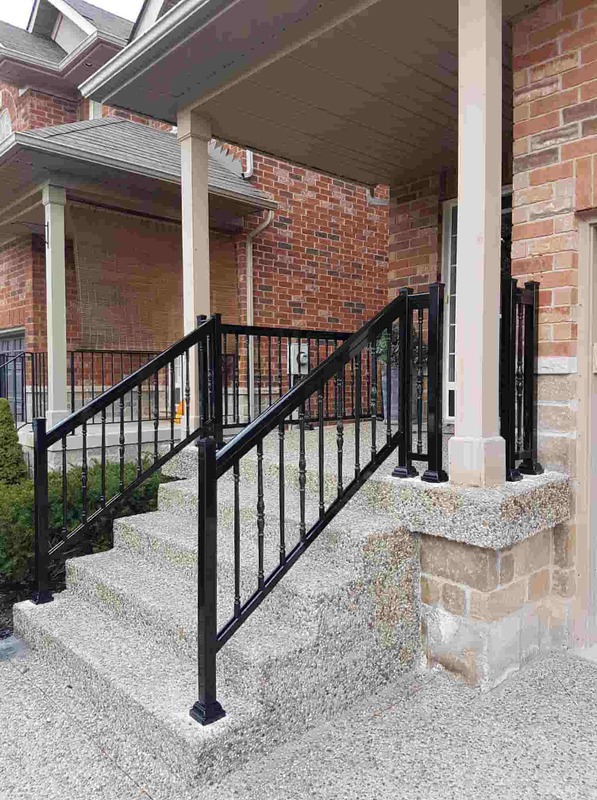 Aluminum Ornamental Railings. 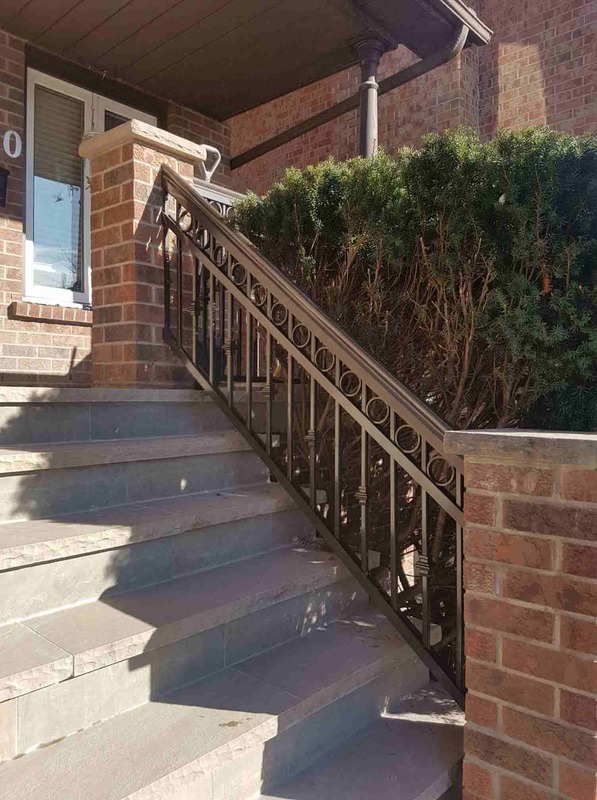 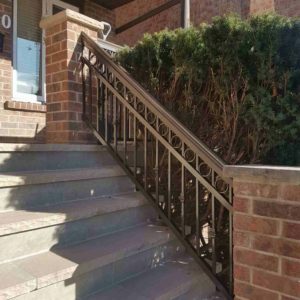 The beauty of aluminum is portrayed in decorative commercial hand railings, elegant carvings with different designs run along the rails, creating sophisticated, sleek ornament handrails. There are many significant benefits of choosing an aluminum handrail for your staircase. 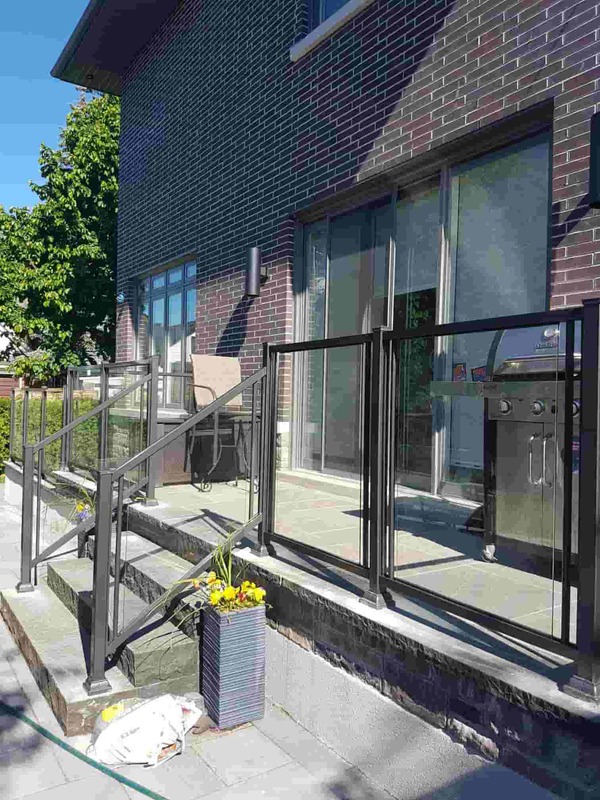 Among the advantages of aluminum are its low-maintenance nature, its strength and beauty, and its affordability. Aluminum also has ideal properties that make its application vast. 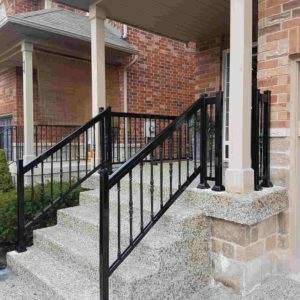 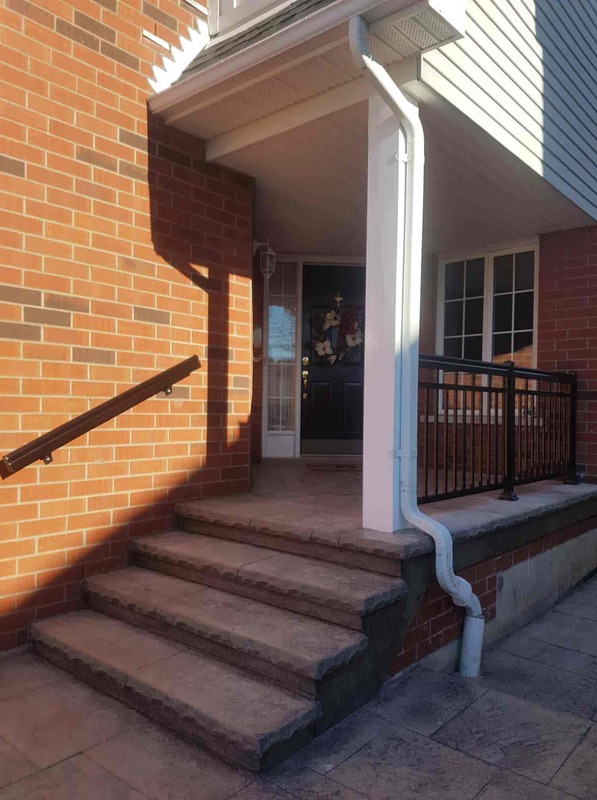 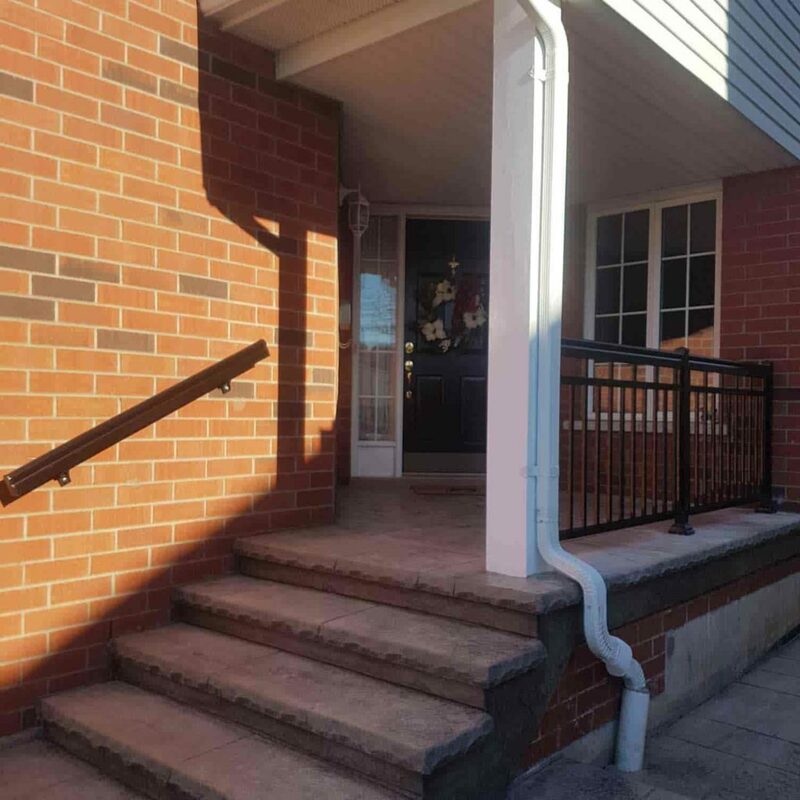 It does not rust, is durable, and its lightweight properties are among the fantastic features that make them suitable for your aluminum handrails. The powder coating applied at high temperatures during manufacture of commercial aluminum rails makes it superior to other railing materials. The smooth surface does not hold dirt or dust and can be easily cleaned at least once a year. 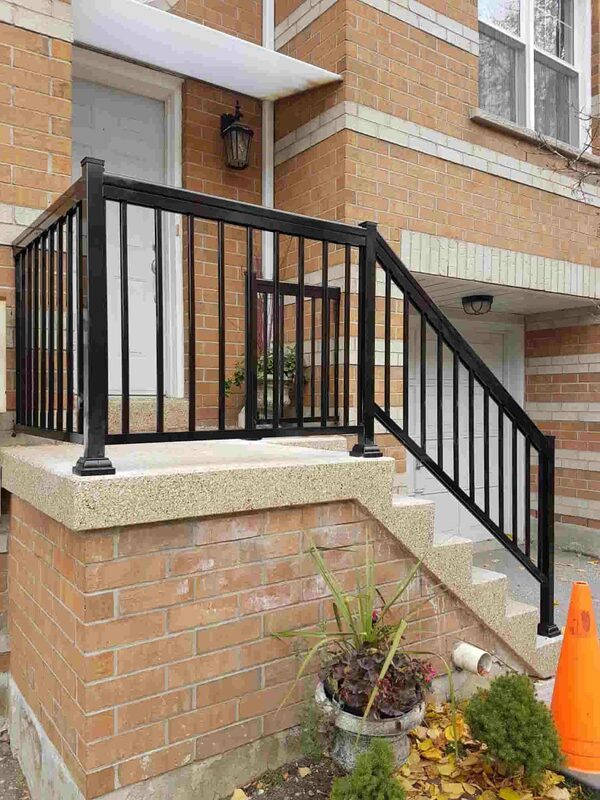 Aluminum is also one of the safest railing material because it does not rot and will not rust or decay. 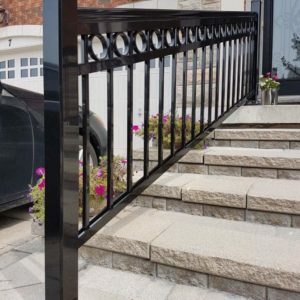 Depending on the width of an aluminum railing material it can be bent to achieve the desired shape. 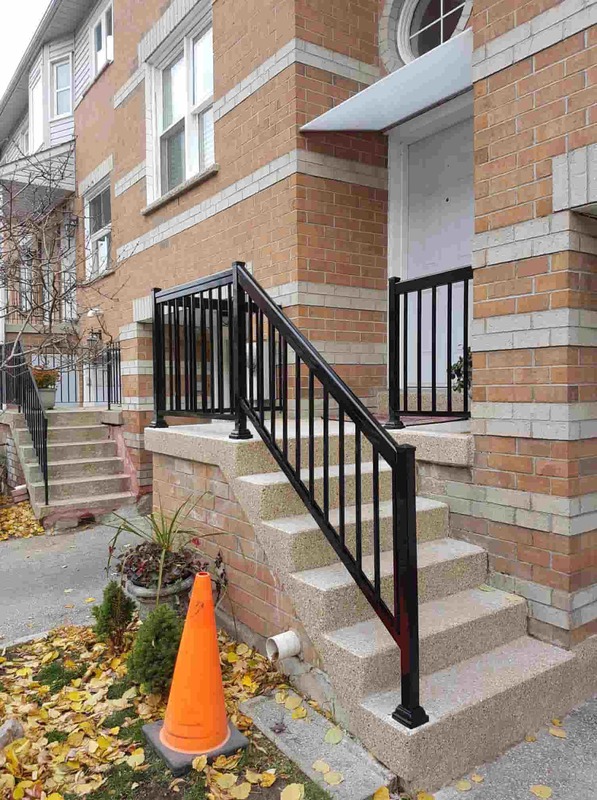 It’s lightweight, making it easier and cheaper to transport in bulk. 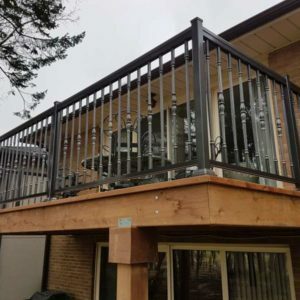 Aluminum is recyclable and is among the most recycled materials in the world. 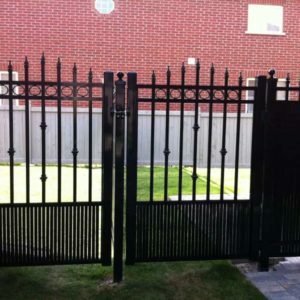 It is resistant to harsh weather conditions and still look new after years of installation and use.